when there is an activity in the Club Building. Thank You! EXCEPTION: Shooting is allowed on Saturday's when there is a CPL Class scheduled. Please check the calendar below to see whether "Range Open" or "Range Closed" is shown. If a member wants to shoot during CPL Class when "Range Open," they MUST stop and check in at the Club Building BEFORE using the range. 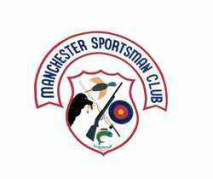 If you have questions about this, please contact Scott Poet, Manchester Sportsman Club President, at 734-323-5293.